A recent piece in the Harvard Business Review cites Inside Albert as a prime example of all the benefits that transparency can bring to AI. How important is trust in AI? A recent article in the Harvard Business Review argues that it’s not only essential to getting buy-in from top stakeholders, but to unlocking the technology’s full potential. Humans need transparency from their AI vendors before they can collaborate in good faith with their digital partners, and it’s only through this collaboration that artificial intelligence will reach a level of performance that can match the hype. The author, Brad Power, argues that this level of transparency isn’t some distant fantasy — in fact, it’s already on the market. Power points to a new feature from Albert™ — what we call Inside Albert — that offers insight into how the program works and makes decisions as an example of the kind of accountability that AI partners need to demonstrate to earn users’ confidence. By opening up the black box, Inside Albert builds that crucial trust with the user, which in turn allows for more informed and efficient use of the tool. Today, most professionals remain wary of AI. You can always expect some resistance to new and disruptive technologies, but when you’re trying to integrate that technology into your day-to-day operations, distrust is only going to result in lost productivity. 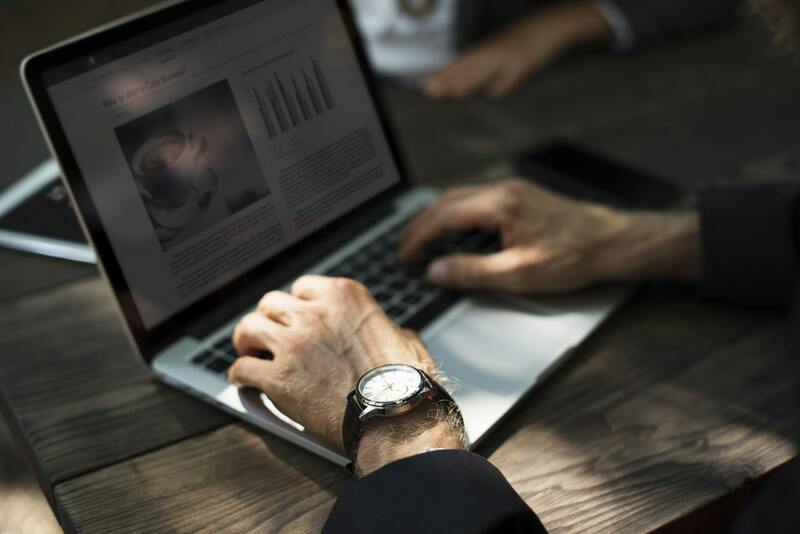 As a McKinsey report explains, adoption of the technology is lagging across industries and sectors, which is likely due to a reluctance on the part of executives to embrace a technology that could frustrate their employees. Power argues that skepticism surrounding AI comes down to four factors: the hype surrounding it, a lack of transparency, fear of losing control over work, and fear that it will disrupt day-to-day work processes. Even though these worries are largely unfounded, they are still perfectly reasonable concerns for humans to have. While managers can demand that their employees use AI, they can’t demand that they trust it — and without that trust, the technology will never bring companies the results they’re hoping for. The only way to cut through the fog of the unknown is by offering transparency to users — that is, by giving them detailed summaries of what the AI is doing, and eventually, why it’s doing what it’s doing. Inside Albert is the first step in our march towards full AI transparency. While anyone can use Albert without a deep, intricate understanding of how he works, this capability offers users insight into what’s going on underneath the hood. It’s undeniable at this point that AI will become increasingly essential to digital marketing in the coming months and years, as well as to countless other fields of work. But before that can happen, AI developers will need to put more of a premium on transparency. That’s not because AI is fundamentally untrustworthy, but because employees need to understand those decisions before they can trust them. In light of the new consumer data regulations hitting the European Union (EU), Albert is reaffirming its commitment to protecting both its users’ data and their right to understand how it’s being used. 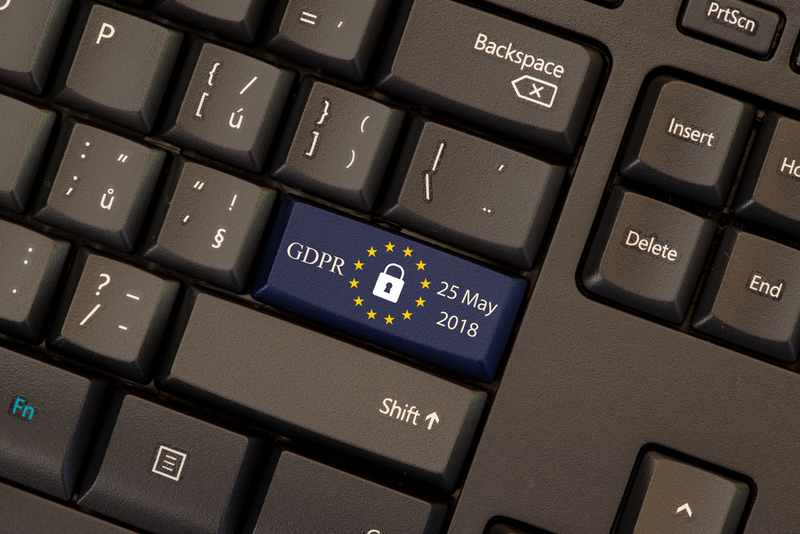 The General Data Protection Regulation (GDPR) is a new European data privacy law designed to upgrade existing protections to the privacy rights of persons in the EU with respect to their personally identifiable information (PII). The new law, which comes into effect on May 25, makes it more difficult for companies doing business in the EU or otherwise offering products or services to persons in the EU, to collect personal information on consumers without their knowledge. It also grants consumers more control over how that information is used. The GDPR has extended the EU’s data protection laws to every individual and organization that processes personal data of persons in the EU and collects any form of PII, which can include anything from an email address or a photograph to a person’s financial records or credit score. Albert Technologies, LTD, has always been committed to the highest degree of customer data protection, and we honor the integrity of each consumer’s personal data by following a strict formal protocol. Here are a few examples of how we’ve adapted to the new protections put in place by the GDPR. GDPR policies clearly define what PII entails, so at Albert, we’ve become more strict about data collection and storage policies. As it applies to Albert customers, instead of absorbing their CRM into Albert, we now direct client’s to migrate that data into their ad accounts, where Albert can leverage the data for campaign execution without actually storing or processing any PII on our servers. In addition, we also make sure that our performance and management of ad campaigns through our customers’ social media account, is only performed under the limited ad manager permissions. This way, our customers and Albert can avoid providing access to personal data held or maintained by our customers and in their social media accounts. To comply with GDPR policy changes, we recently analyzed all the data we’ve collected and stored since our inception. We wanted to ensure we knew what data we hold, where it’s from, and how it’s used within our organization. Albert has also updated all internal policies for managing data. We’ve made a number of security adjustments that address our saving and encryption processes, as well as how and from whom permission can be given to access various databases. Finally, from the moment we obtain any kind of customer personal data, we track its course, monitor its applications, and ensure that it’s never used for any purposes other than for providing our customers with our services. Albert is in the process of completing an American Institute of CPAs SOC 2 compliance certification, which ensures all of our data collection practices pass necessary reporting audits and drive us to high standards for security in general. At Albert, we’ve have a two-pronged process for dealing with data that belongs to our customers’ customers. First of all, if a company requests their audience and customer data or asks us to delete it once they are no longer a client, we respond within 48 hours and carry out a standard procedure. The user deleting or requesting access to their data begins the process by filling out a form — we then send an alert to our team that tells them to stop all data collection for that company and, upon their request, delete any and all data of theirs that we have on file. Even if a client doesn’t explicitly ask for this information to be deleted, we remove all audience and customer data associated with a former client after a few months if we feel certain that company won’t be returning. Secondly, we review all of our data files on a quarterly basis to investigate what data is unneeded and to ensure that we have absolutely no information that belongs to companies that are no longer clients. In addition to the above and in order to ensure full GDPR readiness, we ran a thorough analysis and audit of all internal processes related to data management, and updated our internal training covering data privacy. We also created and updated protocols for handling data breach and security events to be in line with policy. New GDPR policies are in alignment with how we believe people and their data should be treated. Albert, the first fully-autonomous AI marketing platform in the world, functions primarily through sophisticated algorithms — most of which have nothing to do with analyzing or storing personal data, but with making precise calculations. Albert is able to drive amazing marketing results not by uncovering sensitive information that users are keeping hidden, but by finding connections between readily available data that human analysts would never be able to make. Because Albert’s success has never been predicated on invading users’ privacy, we’re confident that we’ll continue to deliver amazing results for organizations marketing to citizens of the EU while maintaining our firm line on consumer data privacy. Rapid changes to the digital publishing landscape are forcing marketers to reevaluate the way they plan, launch, and optimize their digital advertising efforts. If the subsequent two-and-a-half decades have proven anything, it’s that the “commercial possibilities” of digital publishing are far beyond anything Biston and his team could have imagined. For both content producers like newspapers and for advertisers, the internet has completely redefined the realm of the possible and ushered in a new paradigm of connectivity and communication for the 21st century. That said, the internet is always in flux, and there are far more changes to digital publishing — and by extension, digital advertising — to come in 2018. Here are a few of this year’s major trends that are already beginning to affect publishers and advertisers. One of the driving forces behind the current trends in digital publishing is something of a throwback: subscriptions. In the analog era, publishers relied heavily on regular subscribers to fortify their bottom line. Newspapers and magazines could pitch advertisers a baseline audience apart from the unpredictable number of consumers who might pick up an issue here and there from their local newsstand. This significantly decreased the risk an advertiser was asked to take on by purchasing ad space in a specific publication. It’s worth noting that the vast majority of existing digital media subscriptions are for subscription video on demand (SVOD) services like Netflix or Amazon Prime Video, platforms on which it’s effectively impossible to advertise. Still, premium news sites account for over 20 million total subscriptions — each of them paid for by consumers who are both savvy enough to seek out premium information and have access to enough disposable income to pay for it. In other words, this share of the overall subscription market is modest in size, but considerable in value. Where platforms like Facebook aren’t making advertisers’ lives more difficult, consumers are picking up the slack. As of December 2016, 615 million devices representing nearly 11% of all internet traffic were using some sort of ad blocking software. What’s more, the vast majority (74%) of consumers who use ad blocking software claim that they are much more likely to leave a site that forbids the use of such software than to disable their software and continue. These figures notwithstanding, research indicates that the popularity of ad blocking software shouldn’t be taken as a repudiation of digital advertising altogether, as a healthy 77% of ad blocking software users admit that they are willing to view ads delivered in an unobtrusive manner. For instance, these users say that static banner ads and, to a lesser degree, skippable video ads are usually acceptable. Ultimately, companies looking to get the most bang for their digital advertising buck must figure out ways to adapt their campaigns to these new realities of digital publishing. High-value consumers are slowly narrowing their focus on subscription platforms, and consumers of all kinds are doing everything they can to avoid digital advertising that they don’t want to see. As such, there’s never been a better time for a company to supercharge its advertising with a tool like Albert™, the world’s first fully-autonomous marketing platform built from the ground up on AI. Thanks to his sophisticated programming, Albert is able to seamlessly execute high-volume campaigns across multiple channels — including email, mobile, social, search, and display — at once, scaling up spend on ads that work and scaling down spend on those that don’t. The more Albert works, the more he learns, and the more precise a campaign’s targeting becomes. This kind of comprehensive, real-time campaign optimization is absolutely essential in today’s rapidly shifting digital publishing landscape, which is why Albert is truly a marketer’s best friend in 2018. 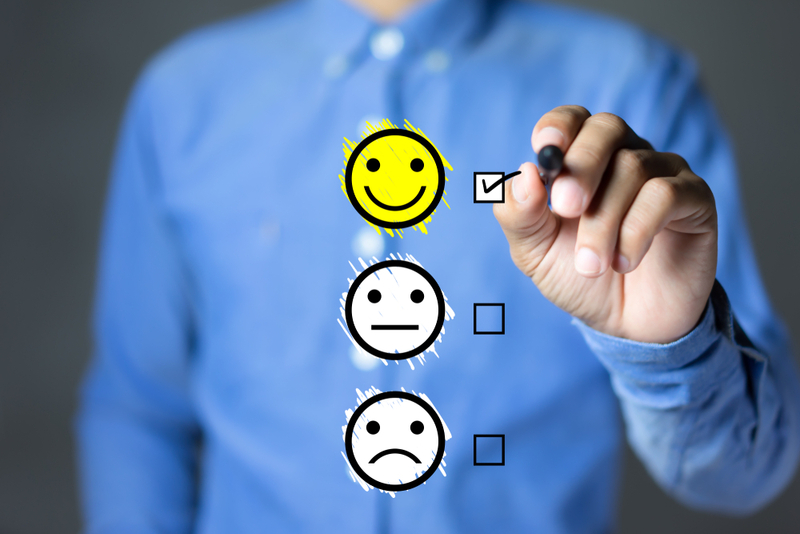 Our recently published customer survey report confirms that AI is emerging as the most effective solution to the complexities of digital marketing — specifically in its ability to autonomously manage processes like media buying and facilitate better creative work. In the report, AI Adoption In Marketing: 2018 Brand And Agency Survey, we asked dozens of marketers on both the brand side and at agencies about their experiences as early adopters of AI in marketing. Their answers gave us insight into the very first stage of AI implementation, which in turn helps us better understand how the technology is being used, where it’s scoring its biggest victories, and what aspects our customers are still grappling with. Our full survey offers a wide range of revealing facts and figures about AI deployment in marketing today, but we’ve compiled some of the most interesting takeaways from the report for your reading pleasure below. Autonomous AI solutions are no longer just for brand-side marketers — they’re increasingly leveraged by agencies tasked with executing their clients’ digital campaigns. 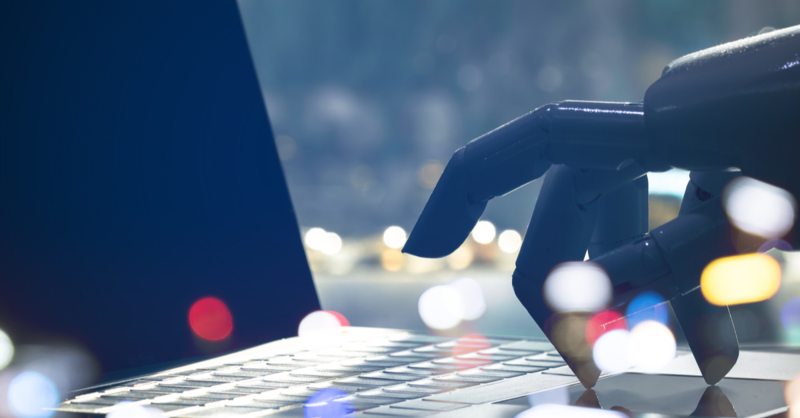 These same agencies say they are impressed by AI’s ability to both identify new audiences (thereby improving campaign performance) and streamline their workflows. Agencies are also trying out AI on new, creative applications like keyword selection and copywriting. The agencies we surveyed were more likely to report higher performance as a major benefit of AI than brands were, citing media buying and audience segmentation as particularly valuable. Nearly 60% of agencies claimed they discovered new audience segments through the implementation of AI solutions. We also found that marketers utilizing AI in the workplace have seen extraordinary results in terms of both increased capacity and efficiency. Agencies gave their AI a 3.8/5 rating for freeing up marketers to focus on creative and strategic tasks, thanks to their autonomous platform’s ability to complete more tedious work related to data collection and analysis. 33% of brand-side marketers, for their part, were surprised by the speed at which creative material loses effectiveness with users, something they never would have realized without using AI. The survey revealed that it is much more common for brands and agencies to utilize AI’s capabilities simultaneously across search, display, and social channels rather than on only one or two of these channels. This suggests that AI’s ability to work efficiently across channels will be a major factor in its increased adoption in the coming years. As with any new technology, both brands and agencies had their own issues with AI implementation. Brand-side marketers had a particularly hard time letting AI take over data analysis, with 59% citing it as the hardest task to give up. Agencies, on the other hand, were slightly uncomfortable with the idea that they couldn’t communicate directly with their AI partner, with 33% citing it as a drawback (an issue Inside Albert directly addresses). These obstacles aside, it’s clear that AI platforms like Albert™ have the potential to revolutionize the entire marketing industry. In fact, we believe that marketers will bridge the application gap sooner rather than later, especially as they gain a sense of the technology’s enormous capabilities and start letting it really work across channels and business units. As the only fully-autonomous AI marketing platform in the world, Albert is uniquely equipped to grow and learn with marketers as they move past the initial stages of implementation and unlock AI’s true benefits. Download the full report for more insights into the results of AI adoption.